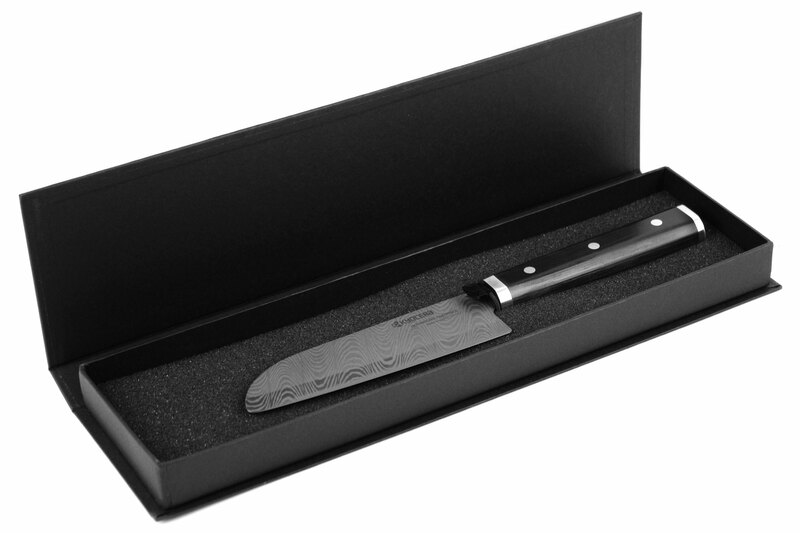 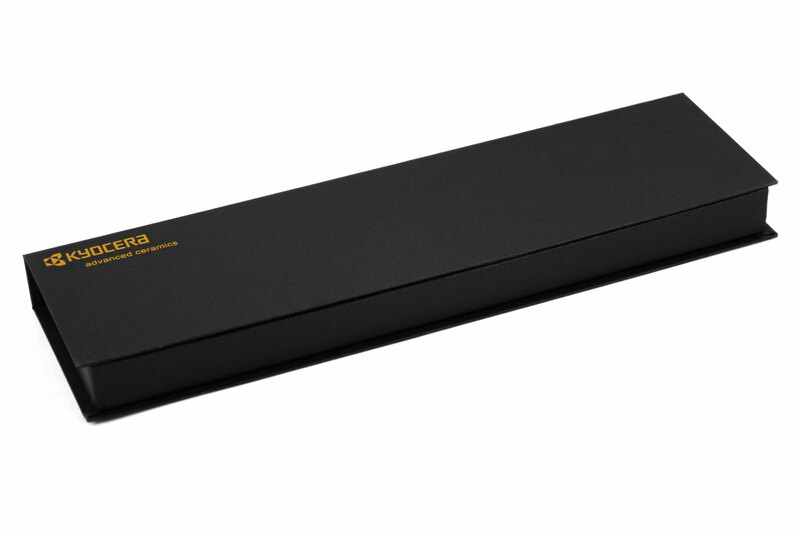 The Kyocera Premier Elite HIP Black Ceramic Santoku Knife works exceptionally well on vegetables, proteins, and fruit for slicing, dicing, and chopping. 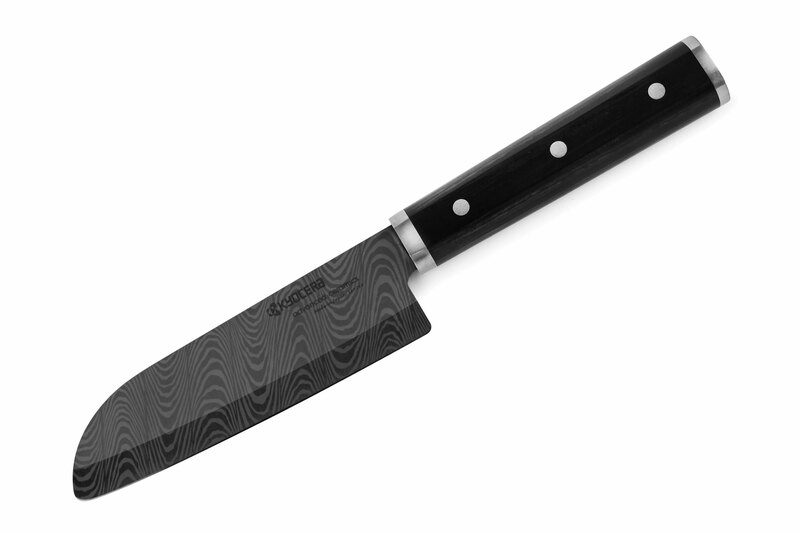 The slight belly curve enables the cook to rock the blade slightly. 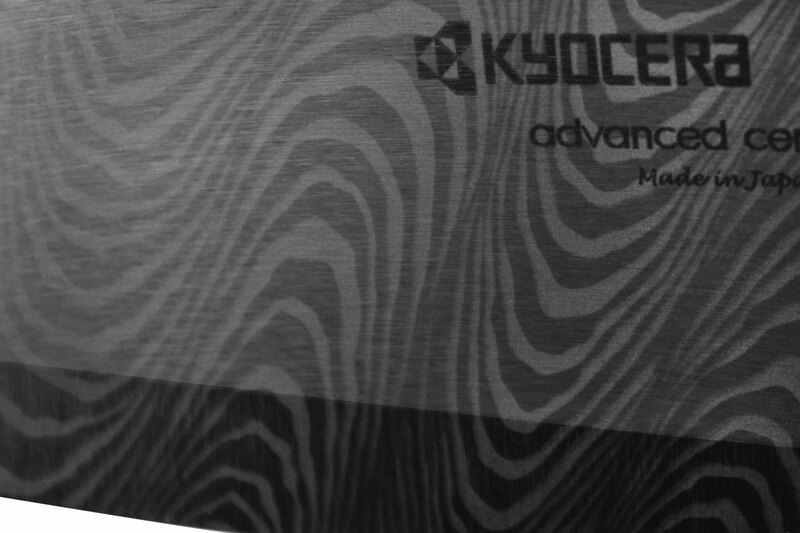 Kyocera Premier Elite features the finest HIP ceramic blade for superior strength and sharpness. 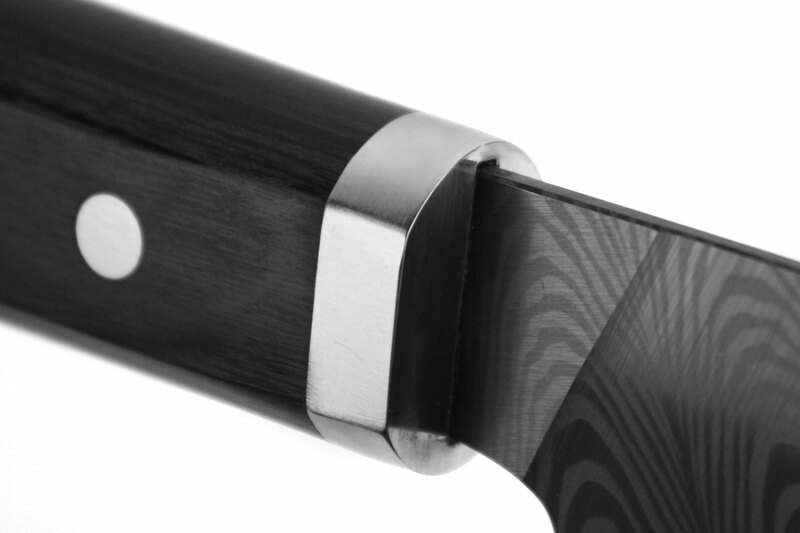 Etched with beauty, the blade is perfectly matched to a magnificent triple rivet black Pakkawood handle. 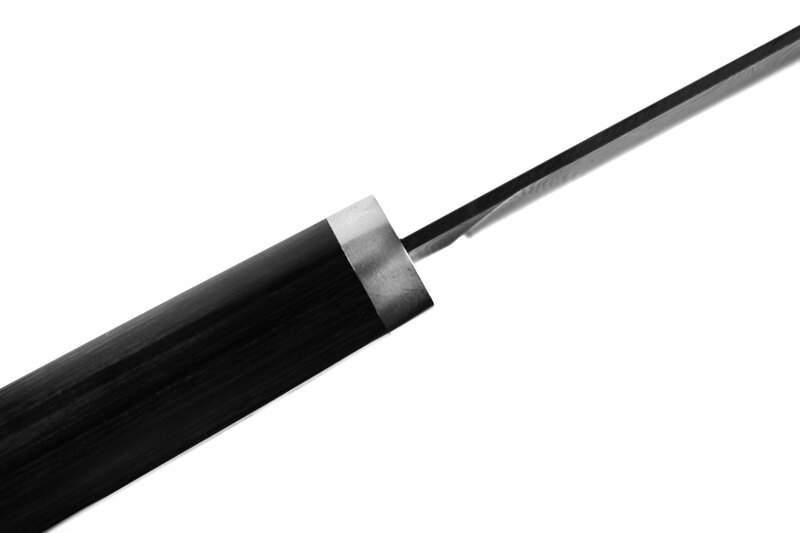 The premium ceramic blade is Hot Isostatically Pressed (HIP) which provides superior strength and sharpness compared to Kyocera's traditional white ceramic blade. 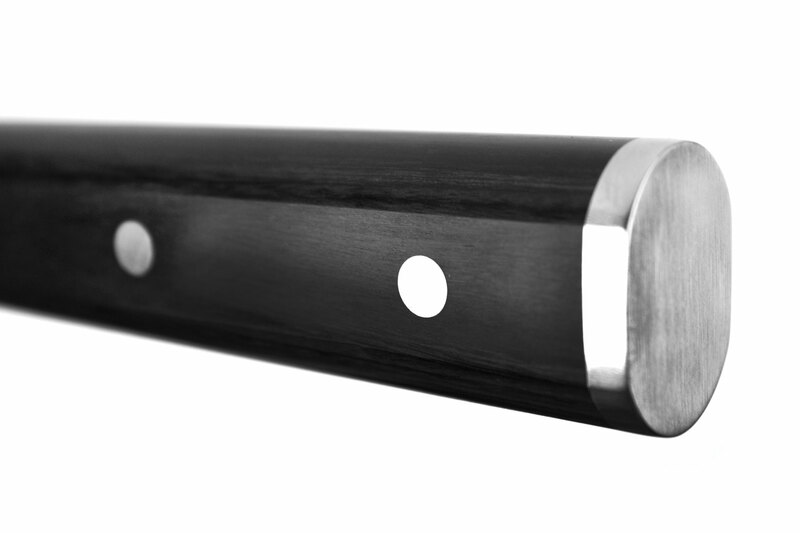 The "Zen Sand Garden" pattern is etched on the blade, reminiscent of a traditional Japanese zen sand garden (karesansui). 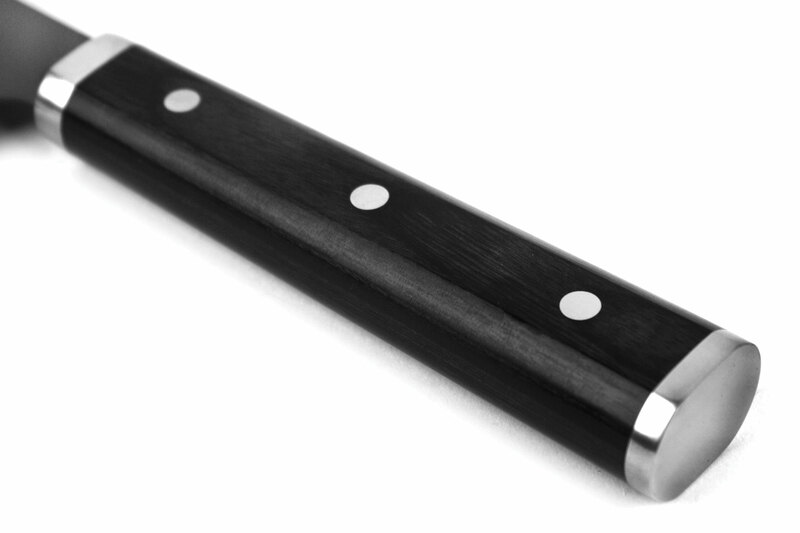 The flat sided oval handle design is inspired by the shape of a Koban, an old Japanese gold coin. 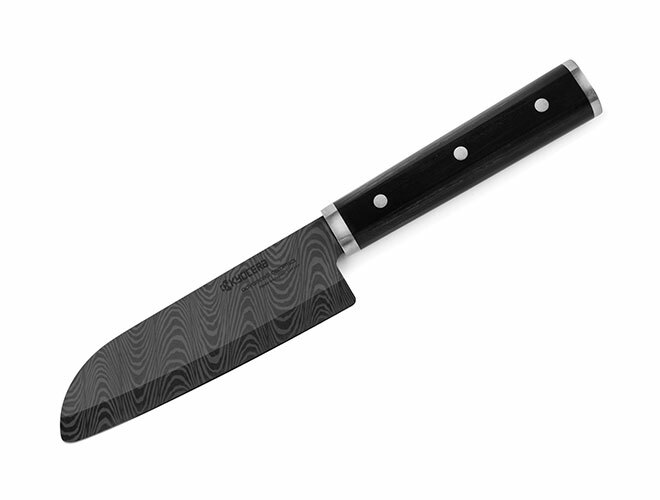 Lightweight and perfectly balanced, Kyocera knives are ideal for everyday slicing of boneless meats, fruits and vegetables.